Last year there was a big earthquake centered in Niigata pref. It was unpredictable. Some analysts say there are several possibilities of earthquakes in many areas. To cope with natural disasters, these points are important. Supplies and manpower. First, a lot of water, food, first-aid boxes and portable toilets are needed. Evacuees can survive if floods, earthquakes or tsunamis attack their towns. 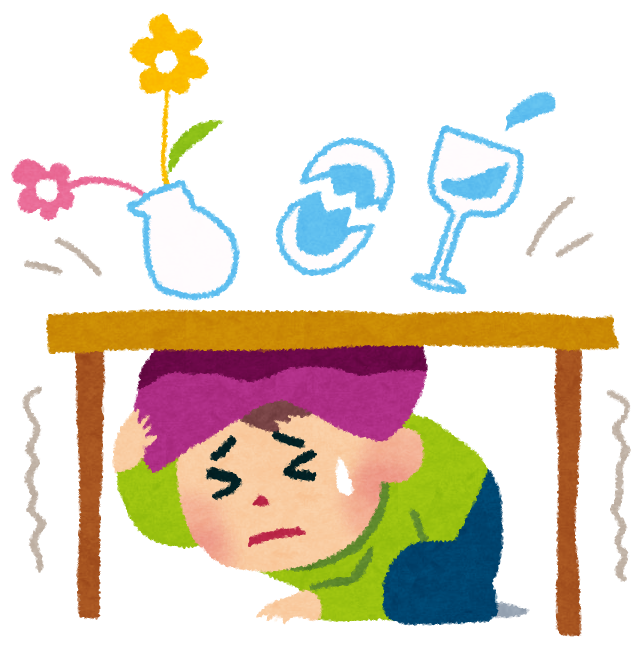 In the case of the earthquake that happened in Niigata pref, some village people were isolated because roads to the big cities had collapsed. They worried about running short of commodities. Next, organizing and sending volunteers quickly is a must. This winter, heavy snow fell at the side the Sea of Japan. Many old people couldn’t remove the snow on their roofs by themselves. Accumulated snow crushed their houses and some died because of the snow. Many people had hoped to help in removing the snow but most of them didn’t know how to apply for the volunteer positions. To sum up, to cope with natural disasters, we need commodities and to coordinate volunteers. It is necessary to make volunteer systems clear to work for evacuees if emergency situations arise.